On Sunday 22nd I launched a new site called Rapid Review Sites. The purpose of this site is to allow people to build Amazon review sites quickly and easily. I’ve also priced it as low as I can to allow as many people to take advantage of it as possible. So why just Amazon and not ClickBank or other vendors? The reason for this is I have seen a lot of new Amazon affiliate products such as plugins and store software being released. 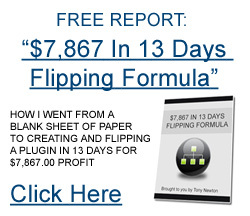 It seems that many people are tired of trying to make money from over-hyped ClickBank products and then dealing with the incredibly high refund rates. Amazon products on the other hand are rarely returned as they are physical products. So you might get a lower commission rate but the refund rate is almost zero, so at least you can keep your commissions. The other reason I created Rapid Review Sites is because I love the Amazon program myself. I’ve been making money from Amazon for 8 years now, simply by creating small review blogs that promote certain products. Making money with Amazon is truly quite easy. You just need professional looking reviews that visitors can interact with. Then when they go and buy a product from Amazon after clicking through from your site, you make money. What About Review Sites in General? They are a huge business. Take ConsumerSearch.com for example. It was sold for $33 million to About.com. The site itself just features product reviews and has affiliate links to them on Amazon or eBay. The business model is incredibly easy and there are people making millions of dollars out of it. Plus the great thing about promoting Amazon products is that you get paid for EVERY product someone buys. Even if they don’t buy the product that they clicked on your website. So that’s why Rapid Review Sites has been born and my intention is to make it as jam packed full of benefits for members as I can.